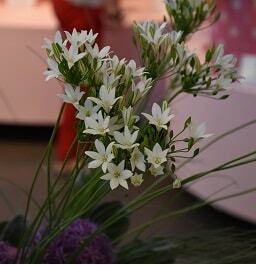 Very attractive umbels of white flowers. 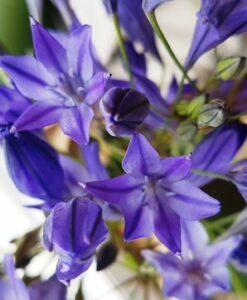 Long lasting as cut flowers,up to 6 weeks.Jun-Jul.18″(45cm). 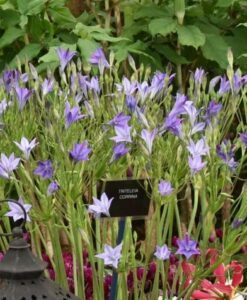 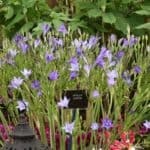 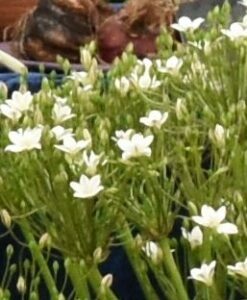 TRITELEIA(Alliaceae).Formerly called Brodiaea.Good garden bulbs producing stems of multiheaded of funnel-shaped flowers opening as the leaves die down.They make excellent cut flowers.Other common names: triplet lily.